Comet Part 200836A. 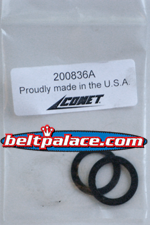 - 2 Pack of Washers/Spacers for TAV Clutch. 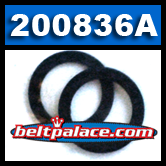 200836A replaces figure # 2 on assembly chart (200836): Package of 2: 3/4" x 1-1/16" Washers. Genuine Comet Part! Made in USA by Comet/Hoffco Industries.